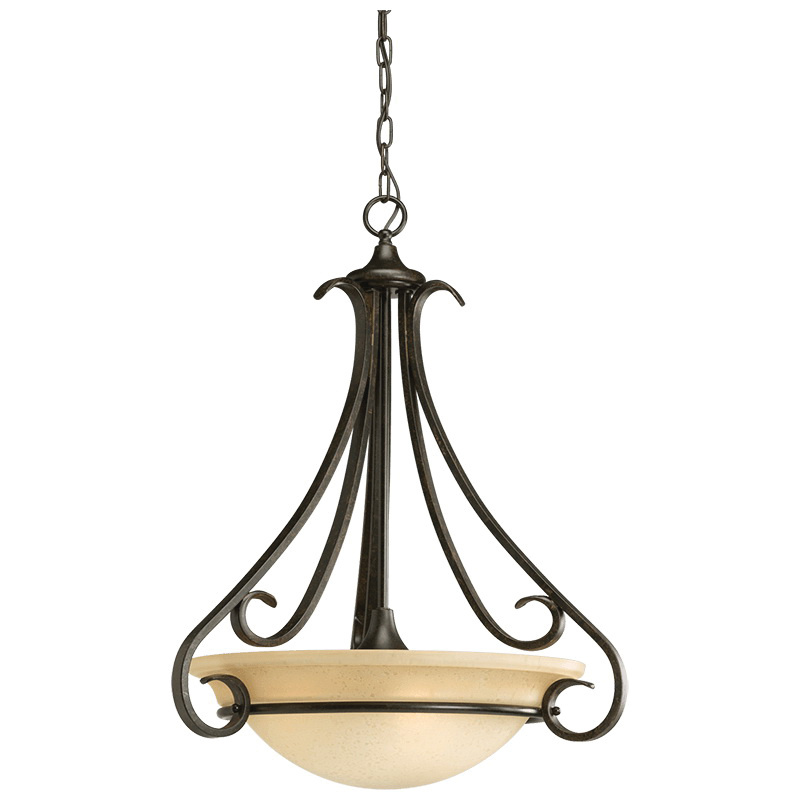 Progress Lighting Torino Collection 3-Lamp inverted foyer pendant fixture in brown color, features forged bronze finished steel construction. The tea-stained glass shade of size 17-5/8-Inch Dia x 5-1/2-Inch, brings elegance to the home. This transitional style fixture uses three 100-Watt medium porcelain incandescent lamps. It has voltage rating of 120-Volts. This fixture has a dimension of 22-Inch Dia x 27-Inch. It is mounted on to the ceiling using 5-1/2-Inch Dia x 1-Inch backplate and 6-ft chain. This pre-wired fixture has distinctive ebbing and flowing of scrolls and arms that adds beauty. It comes with 15-ft lead wire to ensure easy installation. Fixture is UL/cUL listed.